Hi Idea Room readers – it’s Becky from the Clean Mama Blog and Clean Mama Printables! I’m excited to be here today sharing a little organizational tip or two about mud room mayhem (or any place the coats, boots, cleaning supplies, mops, brooms, etc. collect). Every home has a place where stuff gets stashed, coats are dropped and supplies are hidden. 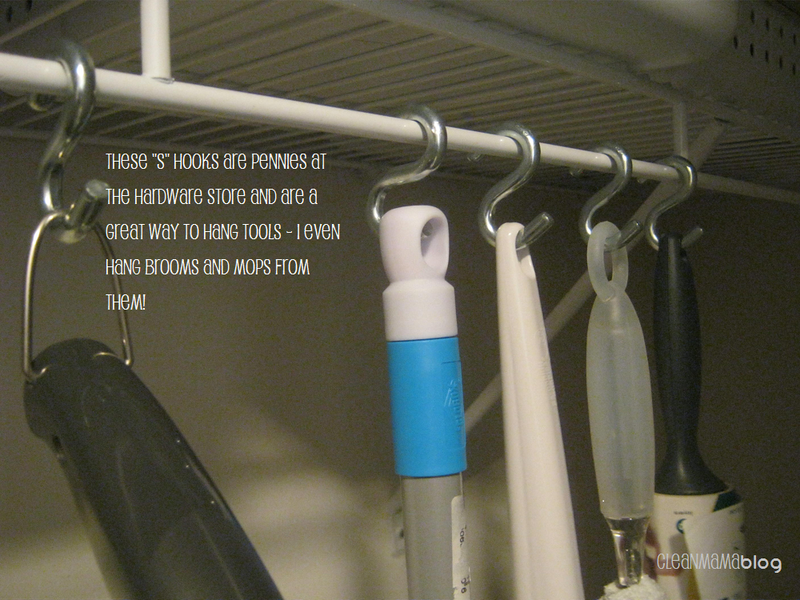 This may be in several areas of your home or you may have a mud room as your go-to place for these items. Regardless, adding a little organization to the general area(s) is always helpful. 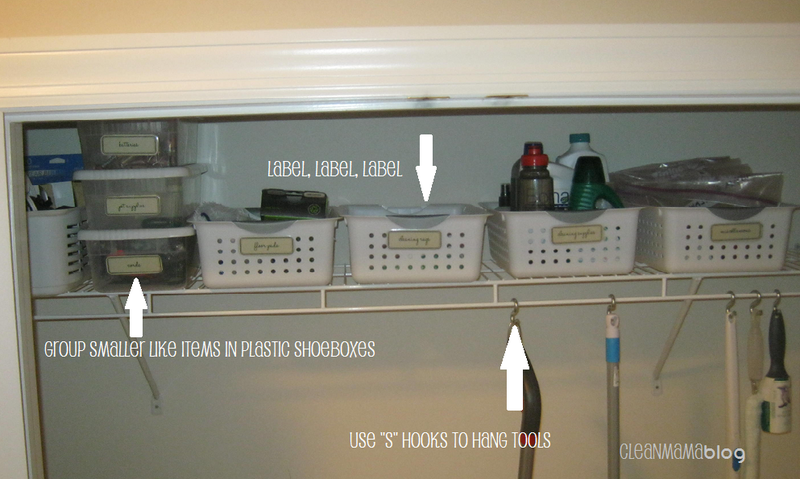 This week I’m going to show you how I organized the closet portion of my mud room. Our mud room has a closet with double doors – it’s not as functional as it might sound because there’s a dog kennel in front of one of the doors, but there’s a lot of room to store mud room-type stuff. Plastic shoe boxes are great for storing smaller items like batteries and electrical cords. I put the batteries in individual Ziploc bags by type/size inside the box for easy access. 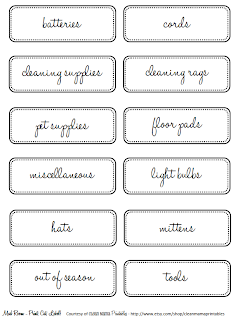 Do you have a mud room that needs some identification? 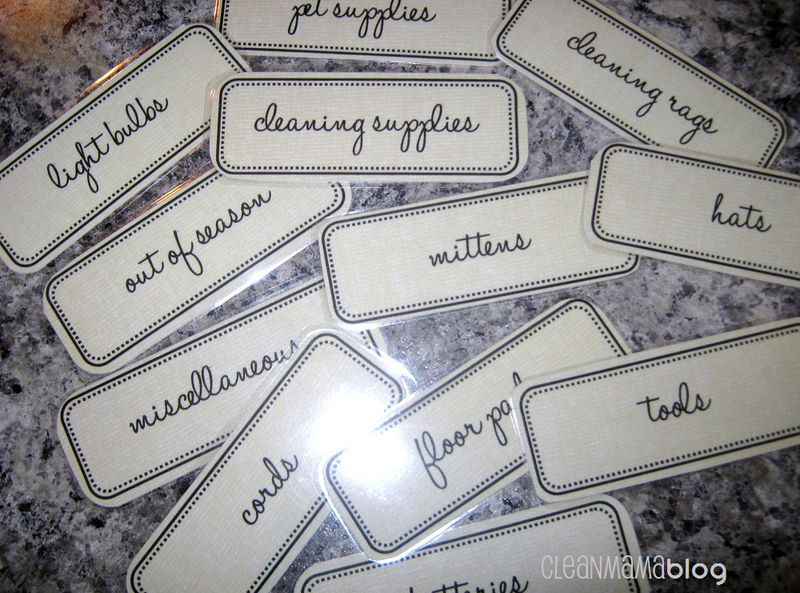 Go here to get some specific mud room labels like the ones that I used. 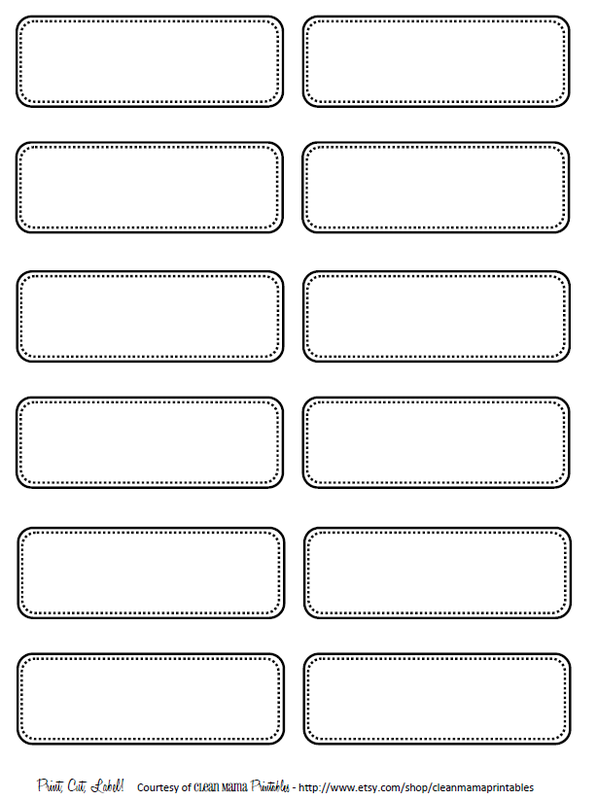 You can go here if you want some blank labels like these. Thanks for having me, Amy – Happy Organizing! Thak! Thi it's very good idea and tank's a lor for the label! Great ideas here. I don't have a mud room but I can still do some of these things. Thanks Becky! I love this idea! And the labels are super cute! I can use several of them for my home. You're the best! 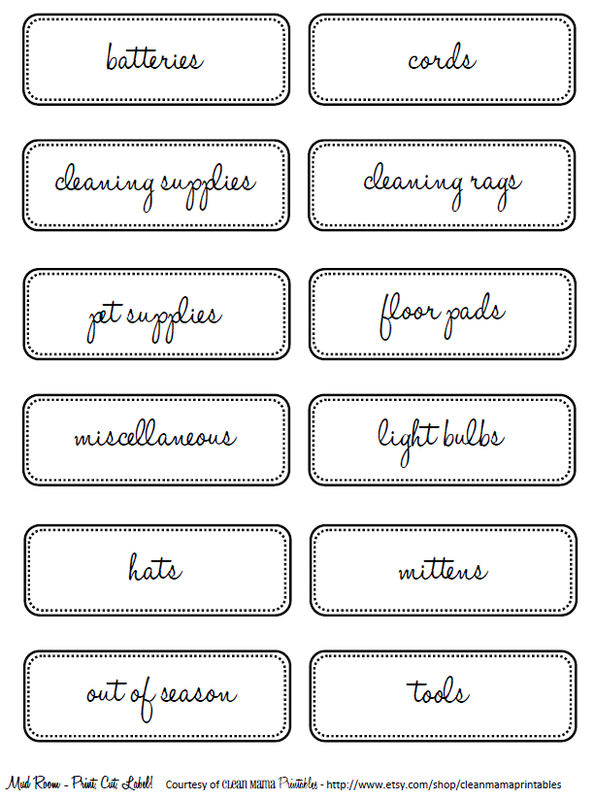 These are great ideas for how to organize! Love the velcro labels! That's wonderful! I love the Velcro label idea. 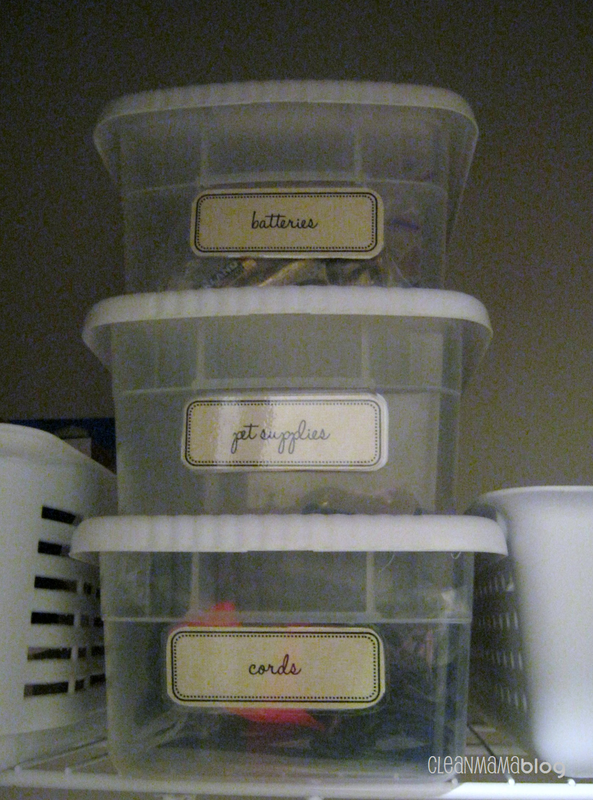 I am always switching my boxes around and this would make everything so much easier! I have one small closet that serves as the entire mud room, and so these tips will be very helpful. Thanks! Fabulous ideas! And lovely labels- everything looks better with pretty tags on them! Thanks for the great suggestions! Thanks for the great tips and the labels! Going to print some soon. I have been needing to clean out my entry-way closet and mud room. Laminating the labels…a great idea! Love, love, love the S hook idea!!! 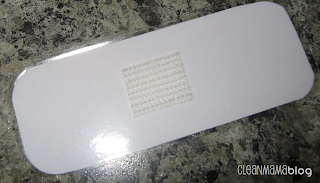 And, I have to agree with Tara…the velcro labels – awesome! 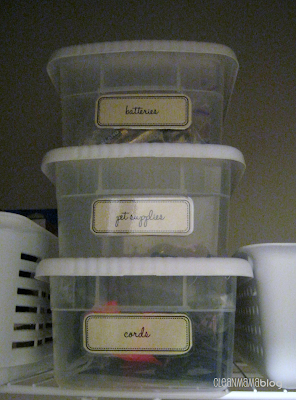 Great organizational tips! I sooo need all the help I can get. in celebrity is caused by caused by it basically shown on the “Dr Oz Provide. Bird ketones is raw phenolic whole seen among red raspberries. calorie burning plan this is as well as efficient. raspberries. It truly always judged just . of green raspberries so signs might not be of a main apprehension. Circumstance you are acknowledge raspberry ketone is protected, How Does does it benefit fat loss? was regarded as impact the groups cells s stamina wearing a first place. inside calorie cells shed off the phone membrane, which makes them less difficult to seem cooked. dieters take 100mgs of raspberry ketone supplements, doubly each day. I’m glad to search out numerous helpful information right here in the post, we want work out more techniques on this regard, thanks for sharing. . . . . .
where can u get a lamitor from? 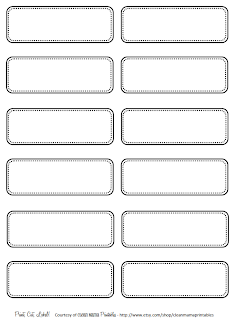 how do u print on cardstock and mailing label’s?